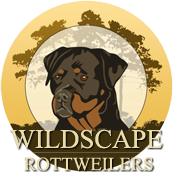 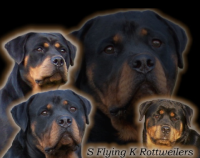 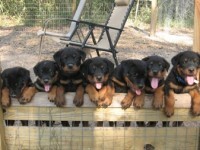 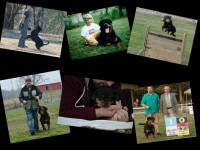 According to the American Kennel Club, Rottweilers are a robust and powerful breed, and happiest when given a job to perform. 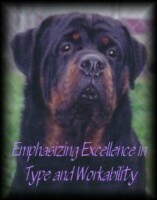 His intelligence, endurance and willingness to work make him suitable as a police dog, herder, service dog, therapy dog, obedience competitor and devoted companion. 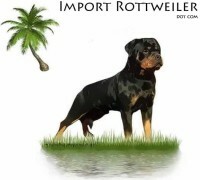 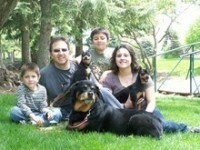 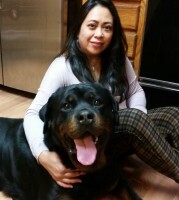 An inherent protector, the Rottweiler is self-confident and responds quietly and with a wait-and-see attitude to influences in his environment. 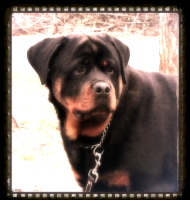 He must be medium in size and his coat is black with rust to mahogany markings.